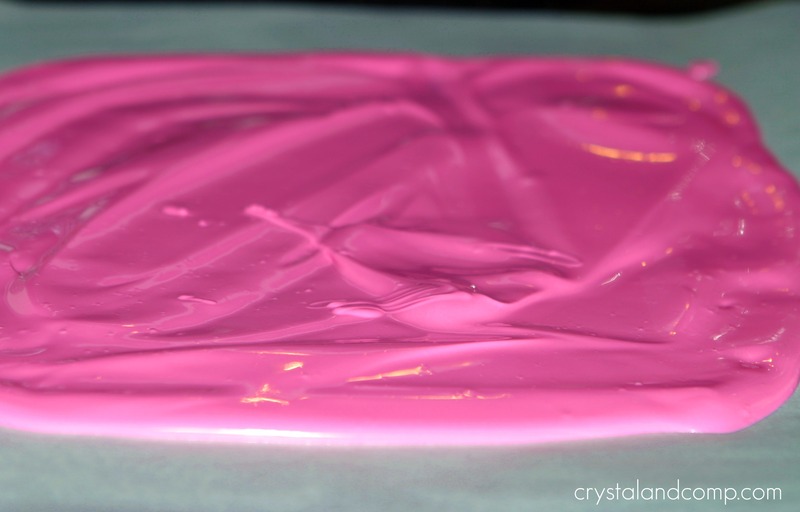 Have you ever tried to make homemade bark? It really is very easy to do. 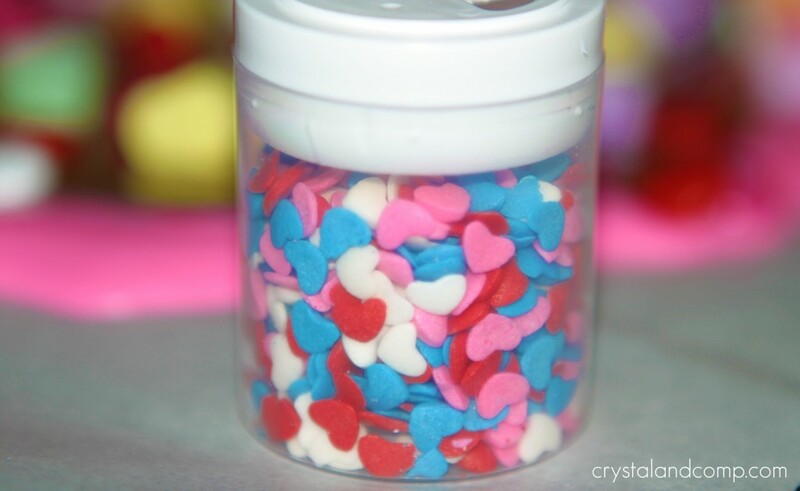 This is a perfect treat to hand out at your Valentine party, to give to friends or as a gift to your school catheter. The free printable makes it so adorable for gift giving! 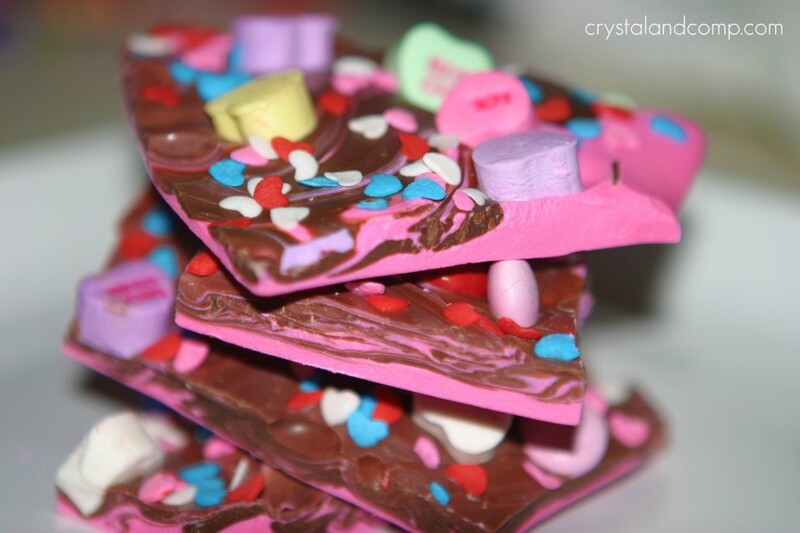 To an adult, this here Valentine Bark might look like a tummy-ache just waiting to happen. 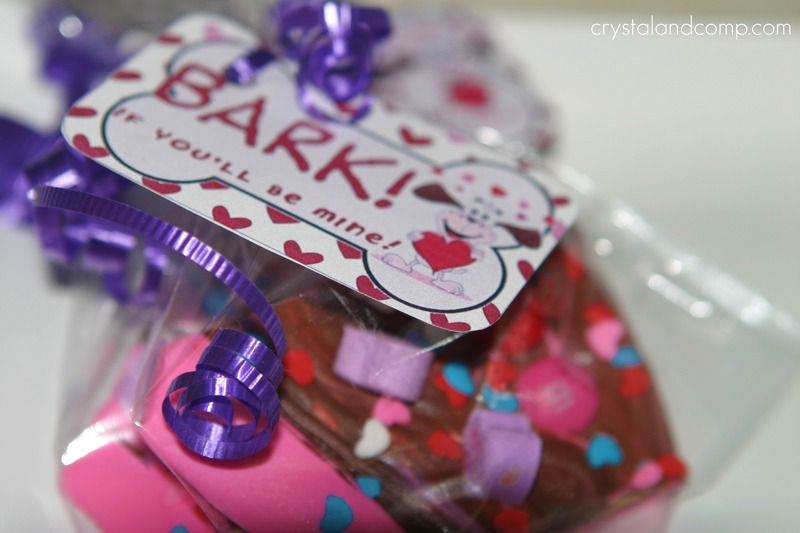 To a child, this here Valentine Bark is like a magical pony ride. 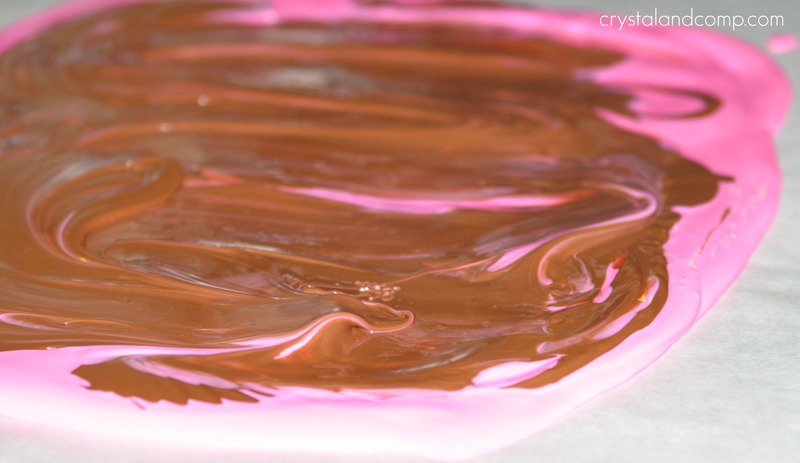 Pour the melted chocolate onto a cookie sheet covered in parchment paper. 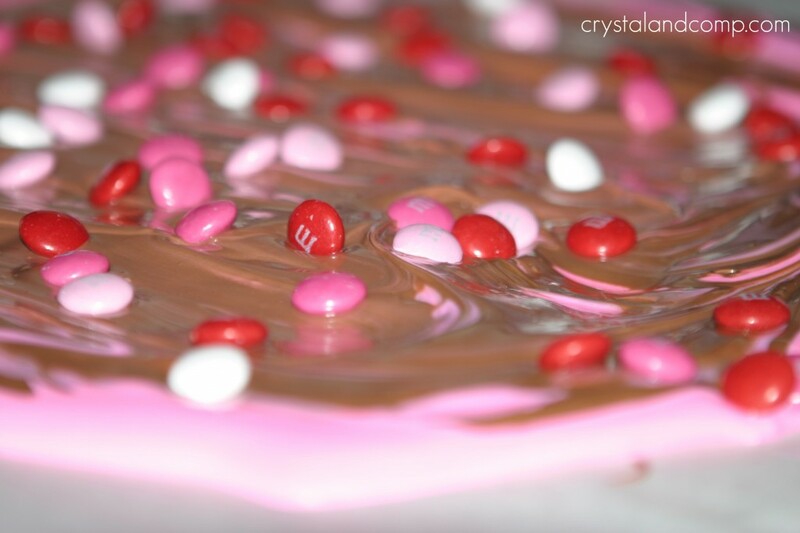 Use a spatula to spread the chocolate out. I waited about 10 minutes and then poured the milk chocolate candy over top- spreading it a little, but not trying to intensely mix the two. 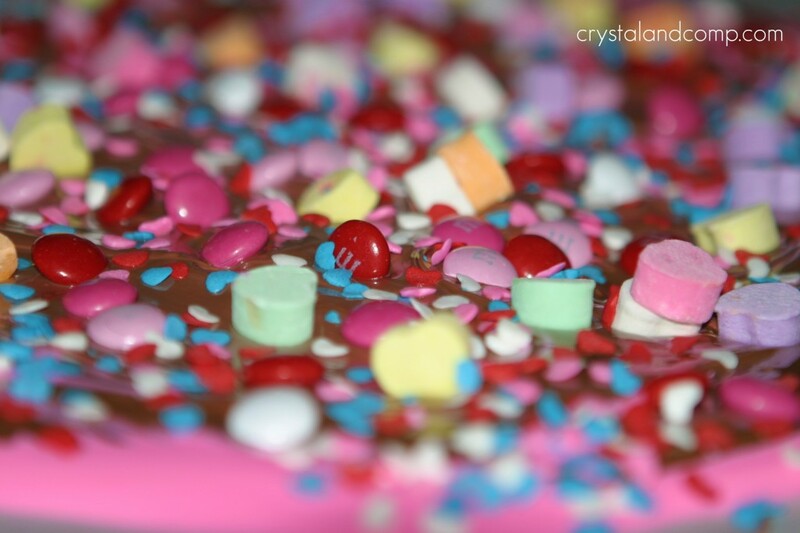 While the chocolates are still melted and soft, start adding your candy toppings. And I found the sprinkles in the dollar bin at Target. So we added sprinkles, too. Let the bark harden 100%. You can pop it in the fridge or freezer to help speed up the process. Since there are two layers of chocolate, it will take a while. I left ours in the fridge over night. When the bark is completely hardened, break it up into pieces. 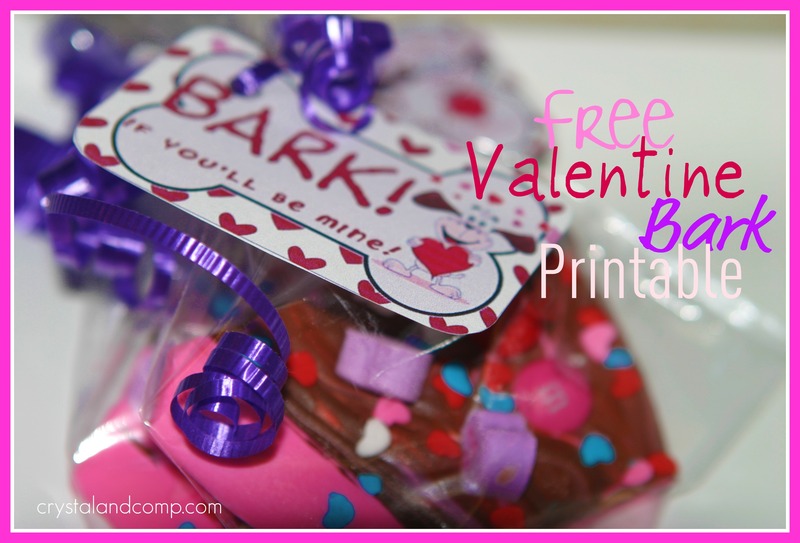 Print the Valentine Bark free printable. Kelli from 3 Boys and a Dog makes all of my printables. Her prices are so reasonable. Check her design work and shoot her an email if you need something made up. Cut the tags out with scissors and do one hole punch in one of the corners. Pop a piece of bark, or two, into each cello bag. Feed the ribbon through the tag and tie the cello bag closed. Curl the ribbon if you want. Very cute! 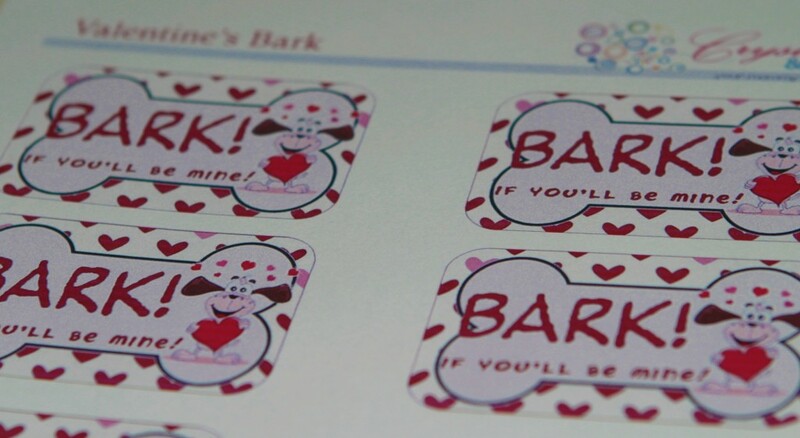 Thanks for sharing on the Valentine Craft linky. 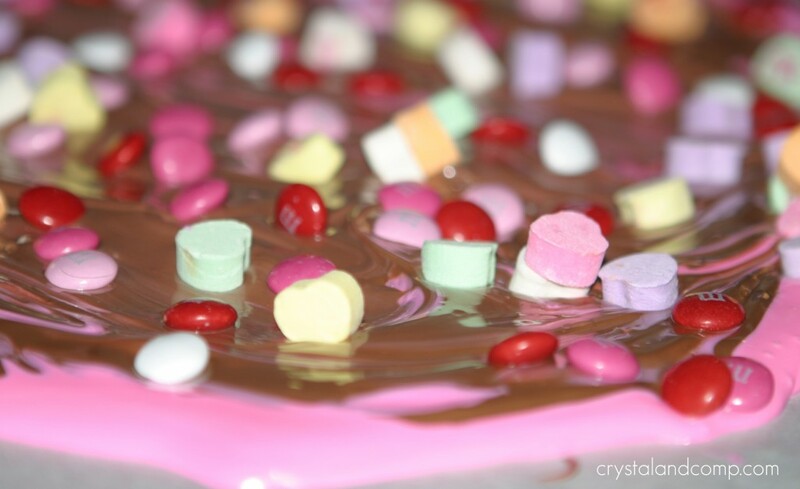 Think I might try something like this, but just with candy melts. I think I have some that I need to get rid of! Michelle recently posted..Share and Share Hop | Link Posts that Need Extra Love! 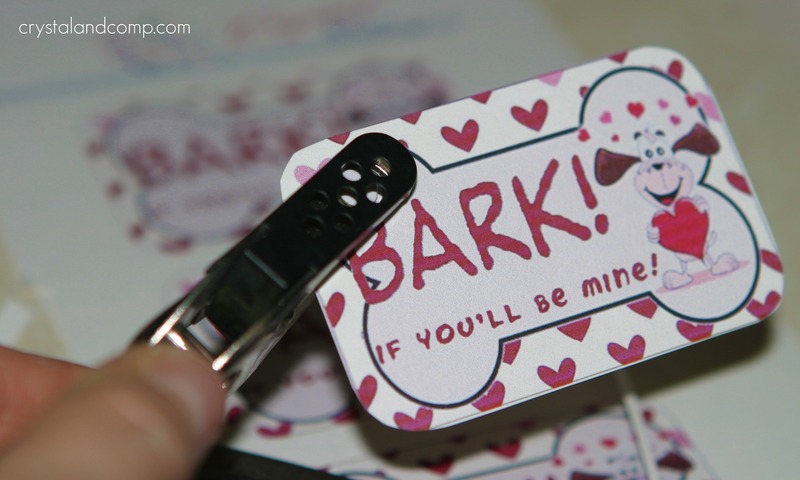 I love the “Bark, if you’ll be mine” tag. So cute. That’s a great idea! Thanks for linking up with fun for Kids Friday. Hope you’re having a good weekend! Heather @ Localfunforkids recently posted..Happy Fun for Kids Friday! This is a great Bark for Valentine Day and the labels are adorable! Hope you have a wonderful week and a special Valentine Day. Thanks for sharing with Full Plate Thursday and come back soon! I am featuring you tomorrow on Made in a Day! See ya there! Just discovered your site. Lots of great ideas. I noticed one of your son’s name is Matthew Jason. My oldest son’s name is Jason Matthew.